Lunch: Monday - Friday: 11:30am - 3:00pm; Dinner: Monday - Wednesday: 4:00pm - 10:00pm, Thursday - Sunday: 5:00pm - 11:00pm Kitchen hours open later for cocktails. Cucci features the best live entertainment seven nights per week.Please check us out on the website to see what playing this week. Uncork and Unwind, every wine on our wine list is offered at half price with lunch or dinner every Monday. Decanted at Cucci every Tuesday with NO CORKAGE FEE. Please note our new discounted wine prices. Chef Gordon Goss would be happy to customize menus for any of your up and coming events either here at Cucci or in your home. Cucci is perfect for your next group function, 2 private rooms for groups 15 to 70. Total restaurant buyouts available for your next special event, when only the best in food and service is needed. Cucci can be described as warm and discreet, a dining room for those that haven't forgotten the pleasures of dining with friends. NV Franciacorta, Antinori "Tenuta Montenisa"
We attended Saturday evening , celebrating my wife's 52 birthday. Everything was fantastic. This was out 3rd time eating at Cucci. We have never been disappointed. We will return often. We go to cucci often. As usual the food did not disappoint and the service was very good but a bit slow as the restaurant was very busy. Because there was a private event the main dining area was smaller as the private area was closed off. This resulted in it being too noisy in the main restaurant. We have not experienced this before. It will not stop me from going back, hopefully that the noise level is not as bad next time. We were seated right in front of the entertainment and it was difficult for us to have a conversation once the music started. That was the only negative comment on the evening. Everything else was very good. Wonderful lunch with premium ingredients served to pfection. The restaurant atmosphere is quiet and this makes conversation easy. The menu varies and is surprising. Definately a treat worth repeating. I have been to this restaurant many times over the years and I haven't been disappointed or bored by the menu or the venue. I am a repeat customer for both personal and professional intimate and comfortable dining. We had to wait for over a half an hour for a 8:15 reservation to receive inattentive service. Food took a long time to receive and we needed to keep finding someone for water etc. Food was tastey once we received it and they did remember it was a birthday celebration, which was nice. The restaurant Cucci was an excellent place to catch up with some old friends, break bread, and share a bottle of wine. The staff were excellent: attentive without hovering. The noise volume rose to a level that necessitated lip reading to communicate. The trouble with "people" noise is that while it makes it difficult to talk to your dining partners, it also makes you feel like you are in a happening place. So our feelings about the noise is neutral. But be forewarned. We all had a Brussel sprout & kale salad which was superb. Most of us ordered the mushroom risotto (one of the evening's specials) with thinly sliced veal placed on top. The veal, even though it was thin, was tough and almost impossible to cut with our dinner knives. We swapped those out for some steak knives but, alas, those knives were not much more effective. However, all of our meals were otherwise excellent and overall it was a fine dining experience. I recommend Cucci. Always a great night out at Cucci, excellent service, varied food selection, nice entertainment. Overall pretty good, subjectively, some dishes were better than others, within a reason. Positive experience in the end, worth another visit and I am sure that personal favorite dish is hiding somewhere on the menu. Service was very good and overall atmosphere was nice. Will try again. Visited Cucci for the first time this week. I’ve heard nothing but good things and was excited to bring my boyfriend for his birthday dinner. The restaurant did not disappoint. The food and atmosphere both lived up to the hype and I can’t wait to visit again. The service was phenomenal and the food was 5 star. 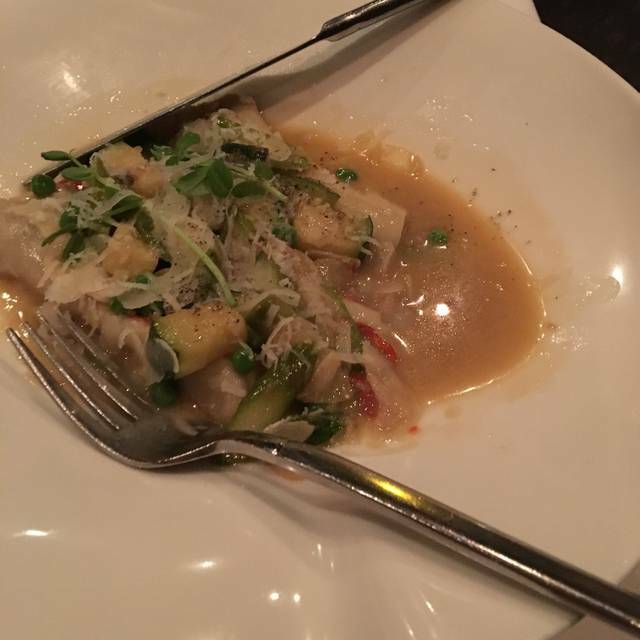 Have been to Cucci many times and have never had an overall experience less than exceptional. This used to be my favourite restaurant. Not anymore. I was there on a Sat evening. It was busy but the noise level was very annoying. People talking, live music and not sure why there is some movie playing on a screen. Our meals of pasta were delivered with 10 minutes so clearly just microwaved and was barely warm. Portions were smaller than when I had been before. We ordered dessert and coffee. The coffee came and it was obvious dessert had been forgotten and arrived much later. We had barely finished dessert and the bill was brought to the table. For the cost of the food and given the service and noise, it is no longer good value. I have been to 3 other Oakville restaurants in the past few months and they exceed what Cucci offers. Not the place it used to be. Excellent food and service however noisy and a bit pricey. Our favourite restaurant, great food, ambiance exceptional and a wonderful staff, knowledgeable and friendly. The food was good but not exceptional. Service was excellent ...overall it was a nice experience and I would recommend but not sure if I would return. Still our favourite restaurant in the Oakville/Burlington area! 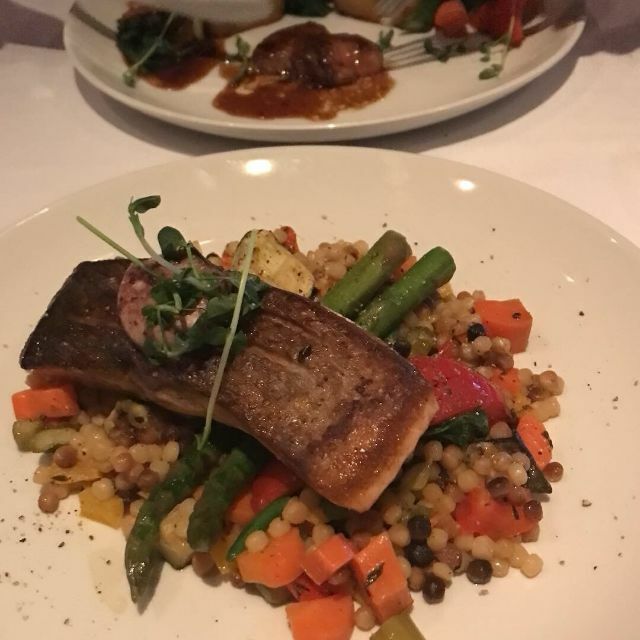 Excellent service and menu selections together with the pleasant ambiance and live dinner music, make this a top choice for a couple or a group. We ordered the fish special which was excellent and our waiter was very attentive to everything we could need. it is understandable why this location is always full. We were hopeful this would be a great night! Food was very bland and overpriced. Ordered the Lamb and Gnocci. Ambiance was a bit too dark. Server was however excellent. But tried to add a valet charge to our bill when we didn’t use it. It’s alot of money for subpar food. 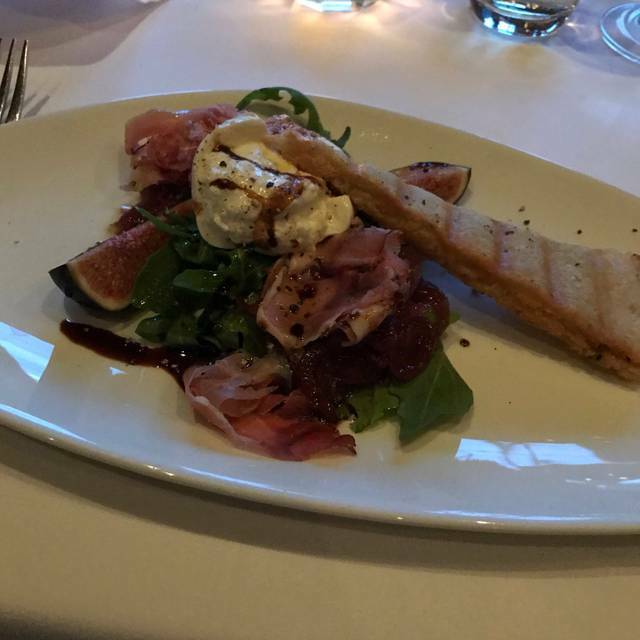 There are a lot of other expensive restaurants in Oakville where you can get much better food! Great ambiance, great food and fabulous service! One of my favourite places! Wonderful restaurant. The food and service was outstanding. It's a hidden gem in Bronte Village! My favorite restaurant in the Oakville/Burlington area. Great ambiance, outstanding staff and food! Overall, we had a really good experience. The ambiance was lovely (enjoyed the movie on the back wall) and our waiter was excellent. The wine list was extensive and we were lucky to get the last bottle of our first choice. Our appetizers were very good (Caesar salad and Tuna Tartare), however, the description for the ravioli was a bit unclear -- we would have expected the sausage to be part of the filling, not separate pieces in the dish, but still was good. My fettucini was very tasty, but the noodles were clumped together so very hard to eat (twirling was not an option). We would return but maybe not as regulars. Our previous visit was very disappointing but it's been our go to "date night" restaurant for years. They certainly went above and beyond this time. Great service and even better food. Two words... Truffle Gnocchi! It’s always amazing. 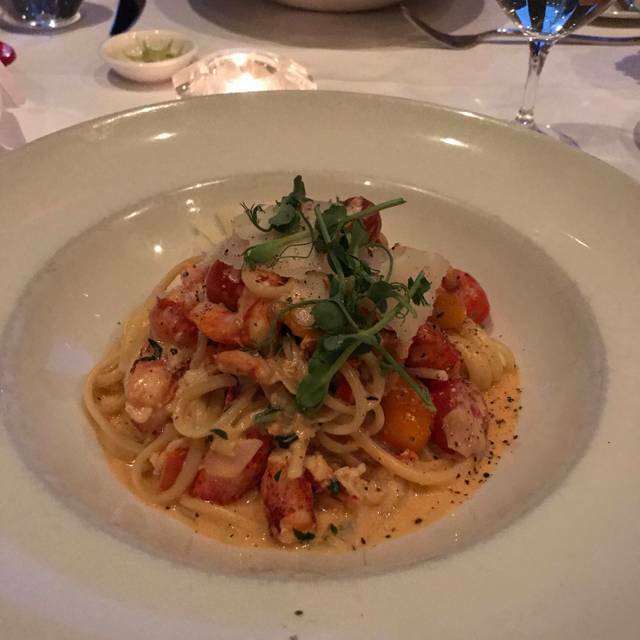 I took a 'foodie' friend to Cucci's for her first experience and it was everything I told her it would be - really good food, exceptional service, warm ambience.. she got there slightly ahead of me and explained she was chilled and was seated next to the fireplace. The choices were really good and we both loved everything about our meal, and our servers were friendly, and professional. This is my favourite restaurant in the world, and I travel quite extensively, always happy to get back to Cucci's (I live out of town now). While the table service was very good, the timing was uneven - some things came very quickly and others (the mains for example) were very slow. Great food. Lovely place. But we were seated next to s huge and very noisy party that made our conversation inaudible and the experience overall very disappointing and uncomfortable. We asked to be moved but we were not accommodated. Amazing experience. Pleasantly surprised when their pianist came on at 10 PM to entertain us. We sat in bar in the high tops. Great service and server was amazing. Five star food and ambiance. My wife and I always look forward to an evening a Cucci. Our dinner last Friday was no exception. While the food, decor and wines are all excellent, the staff is one of the real differentiators. All the staff are terrific however Nick, Dieter and Marino always go out of their way to make our Cucci adventures truly special. Cucci is a terrific restaurant with delicious food and special people working there. A winner! Cucci is a definite stop located in Bronte, west end of Oakville. A high end restaurant, with great expectations that did not let us done. The specials on this night were fresh PEI oysters that were to die for, and the main courses were delicious. But a great meal can not go without a very nice desert. One noticeable treat was the portion sizes, they filled us up and had left overs to take home. YES I would recommend Cucci Restorante to all my friends and family. 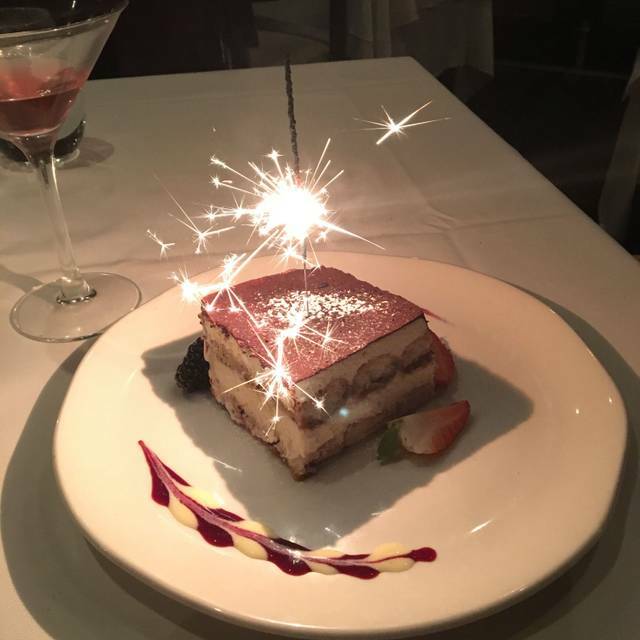 I want to also extend my thanks to our servers, fabulous knowledge of each entrée and desert recommendation. And finally we both enjoyed the live piano player, he had a wide range of music he played for everyone. We were seated on the side without live music, so felt like we missed out a little bit on the musical ambiance. However, the food and service were exquisite - the staff were exceptionally attentive and all items were delicious! The atmosphere inside the restaurant was warm, intimate, and lively. What a great evening and the food was fabulous! Italian inspired, delicious and inspired menu. service is good and courteous. we have been there at least 4 times in the past few years and we will definitely go again. As always, a perfect dining experience! The food never disappoints! Service is always second to none.